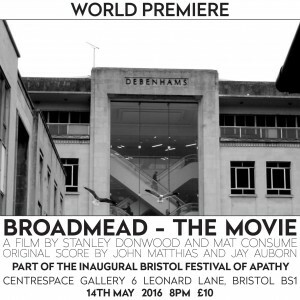 The world premiere of ‘Broadmead the Movie’,a film by Stanley Donwood and Mat Consume, takes place on 14th May 2016. Broadmead in Bristol is an unregarded shopping centre, derided by some, ignored by most. Slated for demolition, it has been chosen by Stanley Donwood as the subject for his first feature film, a film which he intended to be “the most boring movie ever made”. 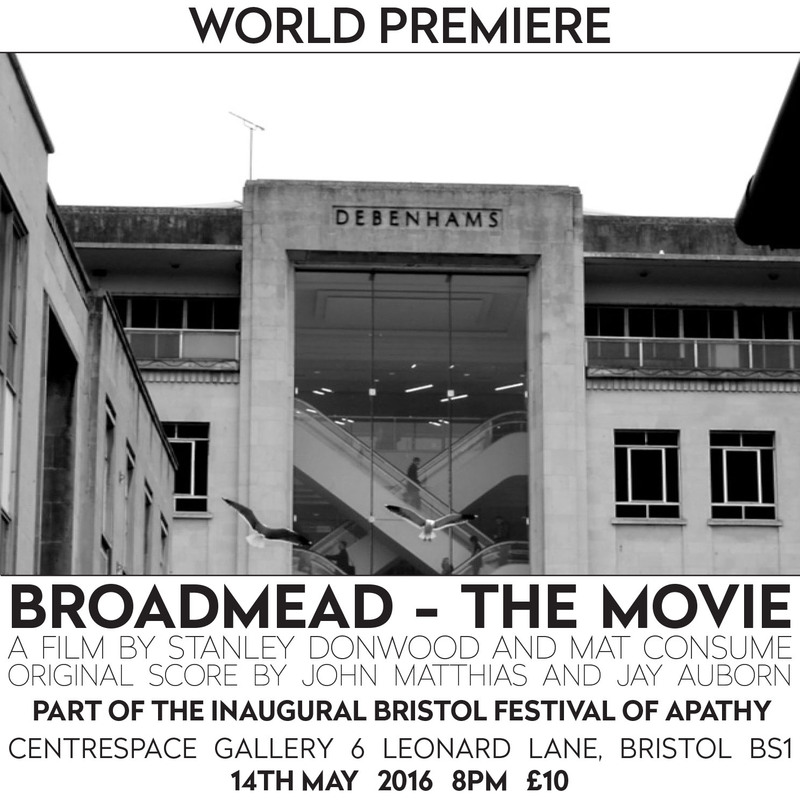 Together with cinematographer Mat Consume and with a haunting score by Plymouth University researcher Dr John Matthias and Jay Auborn, ‘Broadmead – the movie is a elegiac paen to the crumbling of the welfare state, the postwar social contract and the slow murder of society by capital.